Next up: What does 'fanning' the golf club mean? UP NEXT What does ‘fanning’ the golf club mean? 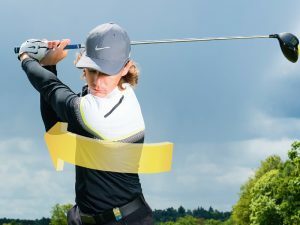 What Is ‘Connection’ In The Golf Swing? What is a one-piece takeaway in golf? What does being laid off mean in golf? 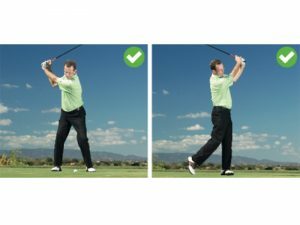 What is ‘coil’ in the golf swing? 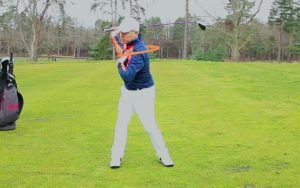 What is casting in the golf swing? 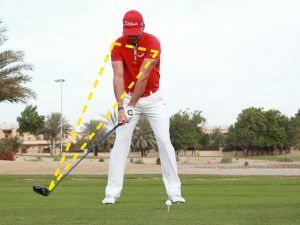 What is dynamic balance in golf? What does ‘trapped on the inside’ mean? You’ll grip a club anywhere between 70 and 100 times per round, and there’s no reason why you shouldn’t get it right every time. 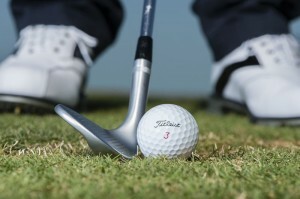 Having the correct golf grip will enable you to deliver the club square to the intended target at impact. Grip the club in the palm and fingers of your hands. For the ideal neutral grip, your left thumb should be positioned just to the right of centre. From there, attach your right hand by gripping with the middle two fingers and forefinger. Your right thumb should sit just to the left of centre. If your grip is truly neutral you should be able to see two knuckles on each hand at address. If you can’t, your grip will either be too strong or too weak, causing you to make contact with the ball with either a closed or open clubface. 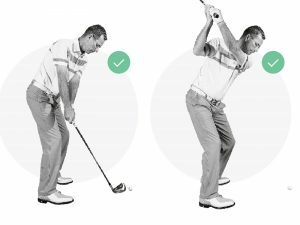 When asking how do you grip a golf club, use these checkpoints to make sure you are doing it correctly. One common error I often see among amateur golfers is holding the club too far up the grip. 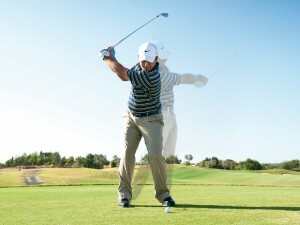 This results in a loss of control and also causes shots to come out of the heel of the club. You should look to leave an inch between the top of your grip and the end of the club. On many grips, there’s a mark where your bottom thumb should go. This is a good marker for where your grip should be. 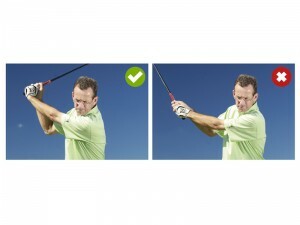 By gripping slightly further down the shaft you will improve your consistency. If you can feel tension in your forearms at address, then you’re gripping the club too tightly. This will prevent you from completing a full shoulder turn. It’s something that happens to all standards of golfer, particularly when playing under pressure. 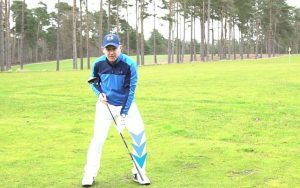 Focus on soft hands and not gripping the club too tight. Don’t forget to waggle the club at address, as this action helps to alleviate tension. 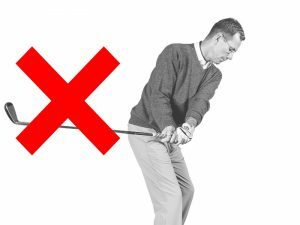 When asking how do you grip a golf club it is worth point out that having the wrong size grip immediately puts you on the back foot. 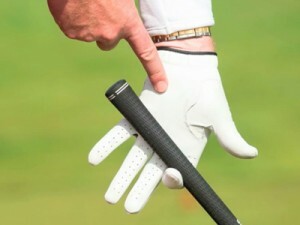 An easy way of checking your grip size is to grip the club with just your glove hand. Take a look at where the ends of your fingers are relative to your palm. They should be lightly touching each other. If your fingers are digging into your palm, your grips are too thin. If they aren’t touching at all, your grips are too thick. The incorrect grip size will hold you back when trying to deliver the club squarely at impact. This could be all you need to help fix your slice. Unlike the positioning of the hands on the grip, mentioned earlier, there isn’t a right or wrong way of linking your fingers. All three types of grip are used by professional golfers, depending on hand size and personal preference. 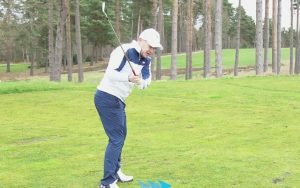 The overlapping grip (also known as the Vardon) is used by many top players and will particularly suit anyone with long fingers. The interlocking grip, as used by Tiger Woods and Jack Nicklaus, will appeal to those with shorter fingers. The baseball grip looks more unusual, but is great if you’re young, have very small hands or suffer from arthritic fingers. Joining the hands is preferable, though, as it will aid control.